To start off, please tell us a few words about yourself: Who are you? Where are you from? What keeps you busy everyday? My name is Richard Lucas. I’m a British businessman and social entrepreneur. I have lived in Krakow for almost half my life – longer than anywhere else. I grew up in Oxford. studied economics in Cambridge and moved to Poland in 1991. My first job in Poland was teaching ”how to start a business” courses in a business school. I went into business with one of my students and over the last 20 years invested some of the money I made from my first business – SKK – in lots of other businesses. I’m a divorced dad, with two of my children living with me full time, one half of the time. I’m very into supporting entrepreneurship and the startup community, and as you might expect am deeply into TED and TEDx. Why did you choose Krakow as a place to live? It was a bit random. I had met Professor Tomasz Gizbert Studnicki at a conference in Greenwich London in 1989 about how to help Poland. He was involved in Krakowskie Towarzystwo Przemysłowe and he invited me to visit. During the visit, I met a girl – who is now my ex wife – in Kraków… I feel very lucky that I found Kraków. 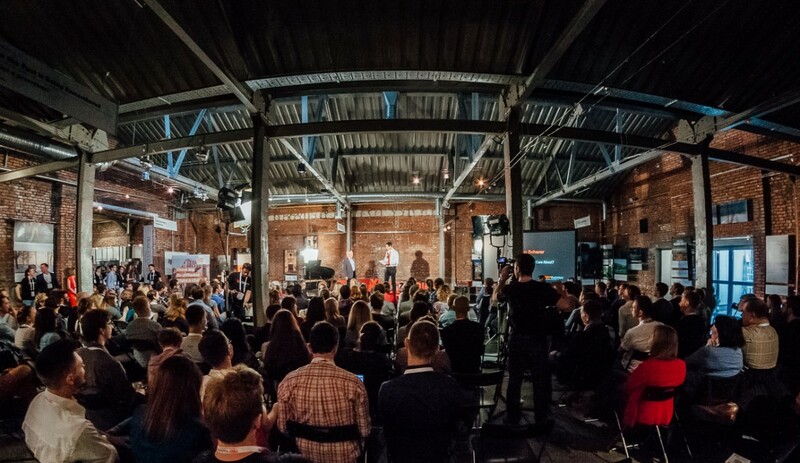 We already had one TEDx in the city – TEDxKraków. Why did you decide to organize another one? There have been many TEDx-s in Kraków. I was involved in TEDxKraków right from the start in 2010, on the organising committee, as a speaker, and on the smaller scale, a sponsor. I have attended all of the TEDxKraków events, helped at many TEDxKrakówCinemas and attended TEDxKrakówSalons. Also I’ve been involved in TEDxWrocławSalon and TEDxWarsaw events. There have been other TEDx-es in Krakow like TEDxYouth@Kraków led by Krystian Aparta, and TEDxYouth@Podgorze by Joanna Stefańska. I proposed the idea of doing a TEDxKraków Salon to Ewa Spohn – the TEDxKraków Licence Holder since 2011 – . After some discussions and meetings with her and members of the TEDxKraków team she suggested that it would be better for me to apply a licence directly. So I applied for a licence back in June/July 2014. I would have been happy and proud to have done a TEDxKrakówSalon, but with hindsight being fully in control of a smaller scale event has worked out, so I think Ewa’s recommendation was a good one. Ewa attended TEDxKazimierz and introduced a TED talk, and I was glad to be at the largest ever TEDxKraków in the ICE in June. We have the same mission “spreading inspiring ideas” as TEDxKraków and TEDxKazimierz did an OTP Transcribathon together a 2 weeks ago. 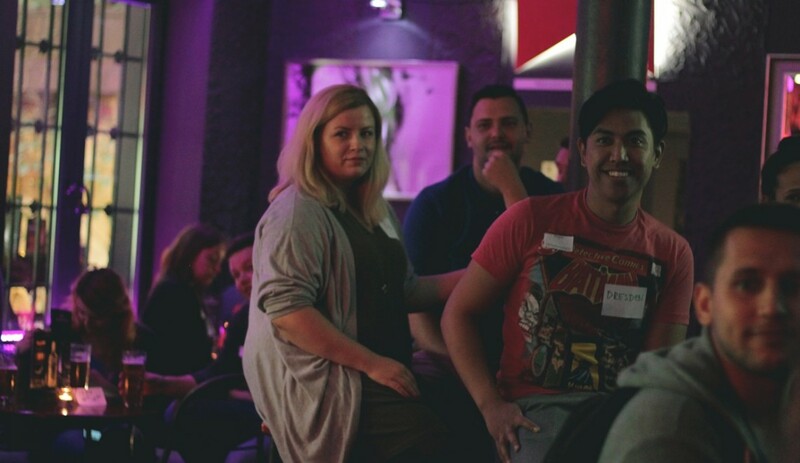 There were particular areas where I felt a focus would be valuable: community building among TED and TEDx fans and inclusiveness for non-Polish speakers who make up a significant and growing minority of the community here in Krakow. I am focused on the value of building communities. In Warsaw, I organised meetups for TEDxWarsaw attendees with the support of Ralph Talmont the licence holder as per here. I had a sense that the TEDx community of attendees – not just in Kraków – could be more supported. I often organised Icebreaker activities at events. And I wrote about it here. That is one of the reasons I had set up the TED and TEDx fans in Poland group on Facebook, which now has more than 2000 members. I wanted a particular focus using the potential of the TED brand – for community building among TED and TEDx fans in the area. To make the event inclusive both to recent arrivals in who do not necessarily speak Polish well, and to locals who might not have contact with the growing number of people who have moved to Kraków from other regions of Poland but have a strong desire to get involved in community activities. TEDxes are meant to serve a local community, I felt I could do this really well. I also was aware of great speakers who I thought deserved the TEDx stage. 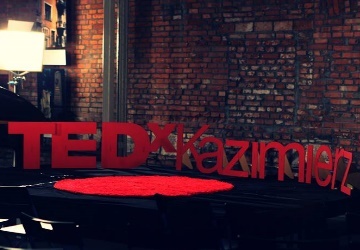 Why TEDxKazimierz? Is that district somehow special to you or for Krakow in your opinion? How did you come up with that idea? I’ve always felt that Kazimierz was a special area with a unique history. Additionally it is a historical melting pot, close to centre, popular with locals and tourists. There is also a hugely important rebirth of Jewish life going on – led by Jonathan Ornstein at the Jewish Community Center. I did look at other “city centre” names like TEDxRynekGłówny and TEDxSrodmieśce but those were not unique to Kraków. It was (and is) important to make sure it was clear TEDxKazimierz was a smaller event, not on the scale of TEDxKraków and not competing but co-operating. I have been to a couple of TED Conferences so I am allowed to do an event for over 100 people. However, it was not to be on the same scale as TEDxKraków. We got a lot of positive feedback that the smaller scale (including the team and speakers, we had about 230 people in the museum) created the community feel we were looking for. It is difficult to organize an independent TED event from scratch? What is necessary to do that? The detailed rules are here on TED.com. and yes – it was much harder than what I was expecting. We had a large team of hardworking people, very committed, who did a ton of work. I really appreciate what they did. I didn’t organise it perfectly. I didn’t spend enough time making sure that everyone was on the same page with respect to their workload, responsibilities and how I expected them to work together. It’s not that easy managing volunteers because ultimately everyone is working for free so you are always relying on goodwill and people who have other priorities in their lives not just our TEDx. I really appreciate the work that was done and felt responsible for not doing the best job of bringing the team together the first time round. It’s a bit like relationships. You learn lessons, and we will do it better this time round. The first TEDxKazimierz was a great success and I’m not saying that because we are on the team and you are the licence holder. It’s our guests’ opinion in the feedback form. What was the chief criteria in choosing speakers? Thank you. We got great feedbacks, (apart from one talk that was a mistake to put on the stage). I was looking for the best people, projects and ideas we could find either for or from Kazimierz. The key in preparing speakers is to focus their idea or project more than their person. The byline of TED is “Ideas worth spreading”. Some of our speakers are well known figures like Jonathan Ornstein of the JCC and Paweł Tkaczyk or internationally like my brother Edward Lucas. Others like Wojtek Narębski are well known in Veteran circles but not among TEDx-ers and deserved a much wider audience. Were you ever a TED or TEDx speaker before? Not at TED – that would be a great honour, maybe one day. 🙂 I spoke at TEDxKrakow on “organising a global initiative without funding” in 2010 and at TEDxWrocław Salon, I was stressed because the slide clicker didn’t work. As a result, I left out one key point about the fact that because I was working for free, it was easier to get others to do things for free. This is an important and controversial idea that needs more discussion. Can anyone be a TEDx speaker? If they have an idea worthy of a the TEDx stage, in principle yes. They should be ready to invest time, energy and maybe some sleepless nights. Of course, public speaking skills are important but this can be learned if someone is motivated, and most people with great ideas are motivated. As Will Davis who supports the TEDx programme at TED headquarters told me: “the idea is more important than the person”. In your opinion, what is needed to be a good speaker in general? Have you got any advice? This is big topic. Chris Anderson who runs TED said this and wrote this: Eye Contact, Tell stories, Less is more, Don’t try to say too much, Slow down, Most importantly – you have to care about what you are talking about, show you care, know why it is important, and get across why it matters to those you are talking to. 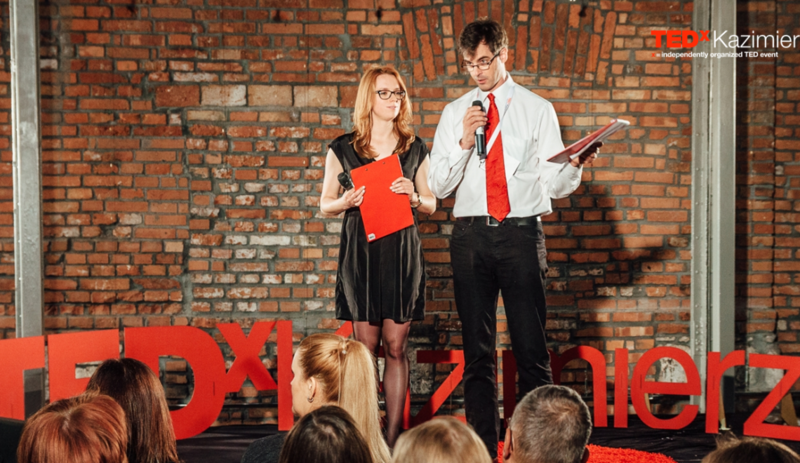 What about next TEDxKazimierz? Have you got any plans? When can we expect next event? I’ve applied for a licence renewal and should hear in the next few weeks., The theme will be “transformation”, and the event will probably be in May 2016 subject to the venue being available. We aim to have monthly meetups and information meetings, where we will show TED talks and build a community and awareness, the next is on……. 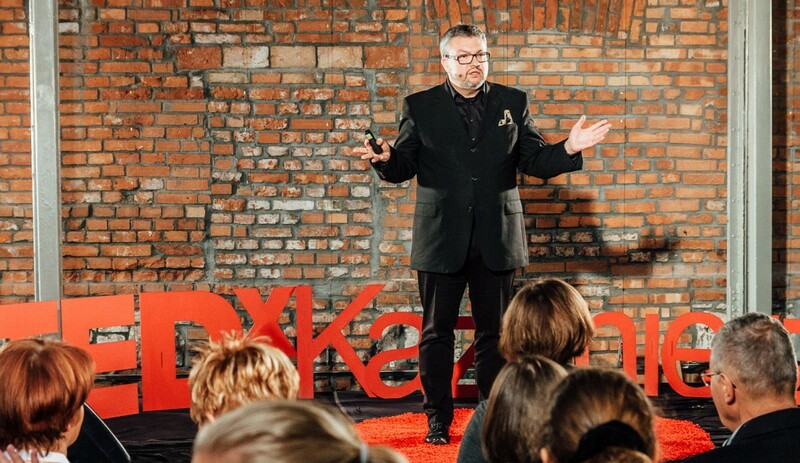 We are thinking of doing smaller TEDxKazimierz Salon events, the first being in November but that needs to be licenced. Keep up to date via our Facebook page and Group. We will update via our newsletter.